Governor Abdul’aziz of Zamfara State on Friday called out his supporters for a peaceful protest over the decision of the national leadership of the All Progressives Congress to cancel the party’s governorship primaries held on Wednesday. 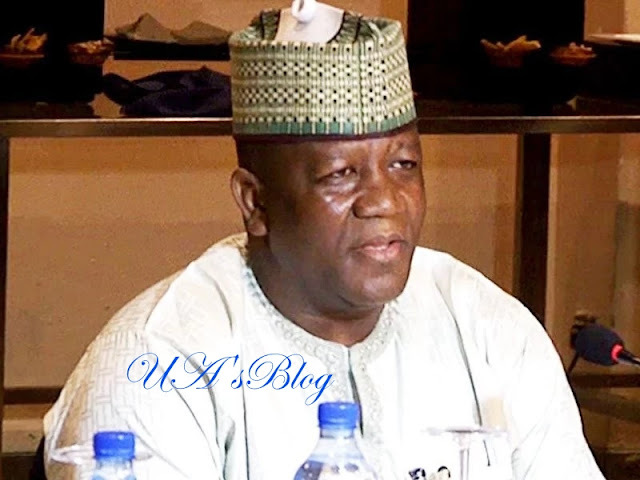 Yari said at a press conference: “I am calling on all our members to come out and storm the state Police Headquarters tomorrow (Saturday) by 10am for peaceful protest. The governor is having running battle with eight governorship aspirants in the state over the conduct of direct primaries. Yari however dismissed the claim by the committee as false and warned the committee members not to step into Zamfara State again. He said: “Our issue is with the National Secretariat of APC where Adams Oshiomhole continue be a dictator to party members. “He acts as a mini god. “I want to call on the national headquarters of the party that we will not accept the decision and we are not satisfied with the committee. “We don’t have confidence in that committee. “I am warning members of that committee that they should never come to Zamfara. “They should never put their legs in this state and anything that happens to them, Adams Oshiomhole should be held responsible. Yari said: “I remain in APC and I will never leave the party. “No amount of pressure will make me to leave the APC. “I was among the founders of this party. “I was in Lagos, Nasarawa States for meetings before we gave birth to the APC. “Therefore, no amount of pressure will make me to leave the party. “You know, changing political party is not my tradition. “Therefore I will not change the party and the rumour going round is not true. Yari’s travails began when he anointed his Commissioner of Finance as the sole candidate of the APC in the state, a decision challenged by eight aspirants, including his deputy, Ibrahim Wakala. The aspirants, locally known as the G8, are a former Governor of the state Aliyu Shinkafi; a serving Senator, Kabiru Marafa; and Minister of Defence, Mansur Dan-Ali. Others include Aminu Sani Jaji, Alhaji Dauda Lawal, Alhaji Abu Mahaji and Sagir Hamidu.